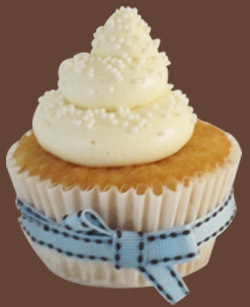 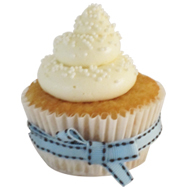 OUR MENU | Silver Lining Cupcake Co.
Sweet vanilla cake topped with vanilla-white choclate buttercream and pearl sprinkles. 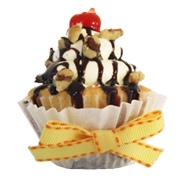 Strawberry cake made with fresh strawberries and strawberry jam then topped with sweet banana buttercream, crumbled walnuts, chocolate syrup, and a cherry. 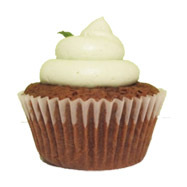 Rich chocolate cake with a York Peppermint Patty baked inside, topped with refreshing cocoa-mint buttercream frosting and a mint spring. 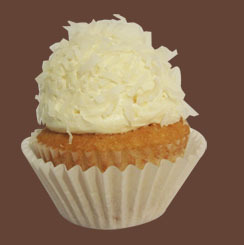 A tropical treat! 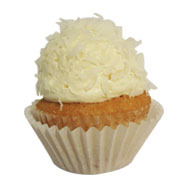 Delightful coconut cake made with real coconut and coconut milk then topped with coconut buttercream frosting and covered in coconut shavings. 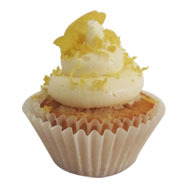 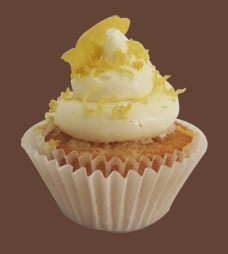 Tasty lemon cake topped with tangy lemon buttercream and bits of lemon rind. 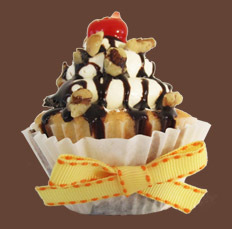 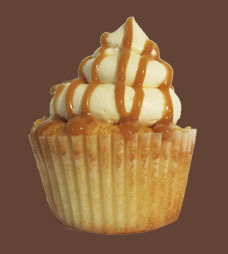 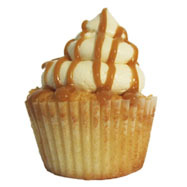 Apple-cinnamon cupcake topped with caramel-cream cheese frosting and homemade caramel sauce. 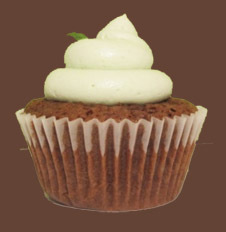 Southern violet velvet (cocoa-free!) 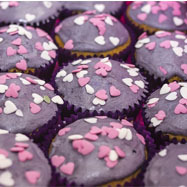 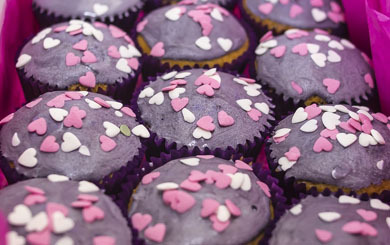 with classic cream cheese frosting, covered with sugar hearts (or not--we respect your right to choose!). 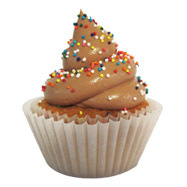 Your childhood favorite! 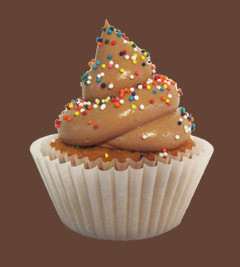 Classic yellow cake topped with light and fluffy chocolate buttercream and covered in sprinkles. 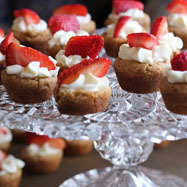 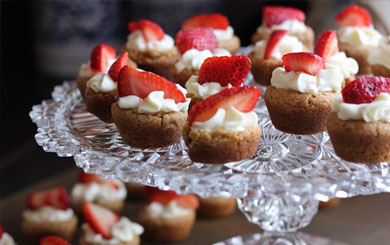 Strawberry bites with sweet strawberry cream cheese.